I don't just get through lifting, I get from it. If we can have men lauded for spending their lives with “hobbies” like mastering tea ceremonies or brewing beer, then why can’t I lift in peace without hearing I don't have to? We are allowed to make our choices and I choose IRON. I don't need any one telling me I can’t or shouldn't do certain lifts. Thousands of people are congratulated for getting shocked with electric barb wire at a mud run. The stats show us sports are dangerous. Yet I don’t see internet articles raging about shutting those down anytime soon. To review, I came from a time when there weren't many training books to read, any websites to surf and the biggest guy in the gym was the professor. I was given salt tablets and thought shirts shouldn't have sleeves. Did I make mistakes? Sure, I made a ton of them. But that is also what made me what I am now. But one thing stayed consistent. 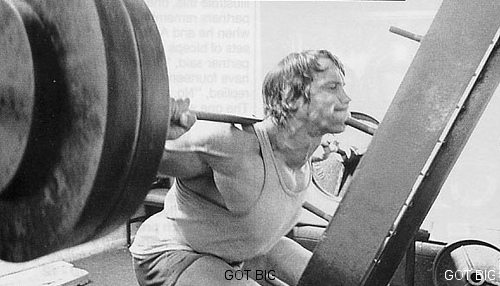 I used big lifts to always place resistance through my body. If you found yourself nodding in agreement while reading, you will like the following free video series from Martin Rooney www.tfwcertification.com. Martin Rooney is an internationally recognized fitness expert, best-selling author, and sought-after presenter. Martin has his Master of Health Science and Bachelor of Physical Therapy degrees from the Medical University of South Carolina and also holds a Bachelor of Arts in Exercise Science from Furman University. A former US bobsledder, he is currently the COO of the Parisi Speed School national franchise and is the creator of the Training for Warriors system. 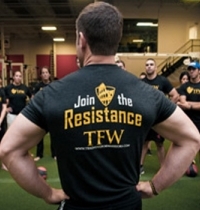 His training programs have been used by over 1,000,000 athletes world-wide. Martin has delivered presentations to Fortune 500 companies such as Marriott International, NIKE and Hasbro, Military Organizations like the Army Rangers and Navy SEALs, and he consulted professional teams like the NY Jets, Cincinnati Bengals, Carolina Panthers and NY Giants. The contracts of the hundreds of professional athletes Martin has personally trained have been worth an excess of 1 billion dollars. Over the last 5 years, he has traveled to over 25 countries to conduct his Training For Warriors certification.